Thanks to the intrepid work of Malia Zimmerman of the Hawaii Reporter, our biggest politicians may have to learn to be a bit more circumspect in their lavish vacation choices. At least if they are planning to do their luxuriating in the Aloha State. Not only did Hawaii Reporter make national news with its accounting of President Obama’s recent stay, but they also brought attention to Representative Pelosi’s recent $10,000 per night Christmas break on the Big Island (including a charge to local taxpayers of $34,000 for police escorts). Few writers have the talent to string together a series of random thoughts as a reflection on the past year. Fortunately, the good Lord has seen fit to send us Thomas Sowell, who does just that in his recent column, giving small nuggets of thought-provoking potential on everything from the GOP field to why committees are the enemy of getting things done. Reason Magazine has an interesting look at the Los Angeles Light Rail system, including a video demonstrating how—using only mass transit—you can travel 17 miles in a mere 78 minutes. And people say that rail can be inefficient. Why bring this up here? Well, while there are certainly important differences between the LA Rail and Honolulu’s proposed rail system, they can both boast of being prohibitively expensive and planned without taking into consideration the culture in which they are to be situated. We’ve heard plenty about successful rail systems, but it behooves us to consider more the ones that have not been so successful. Was 2011 the year of economic and political stagnation? Jay Cost says “yes” and he has the depressingly flat line graphs to prove it. This of course raises the question of how the political machinations and economic wheel-spinning will change (or not) during the coming election year, but the numbers suggest that quite a few politicians should be worrying about their job security. Passion, politics, spies, war. The wonder isn’t that they made a movie (Charlie Wilson’s War) about Charlie Wilson and Joanne King Herring. The real surprise is that the true story is better. Writing in Forbes, Ralph Benko has a tribute to Herring and her role in taking down communism and the Soviet Union—a victory that may go unnoticed and unrecognized today, but which history will certainly grant due honors in time. Does the First Amendment Apply Online? It’s funny. Anyone who has participated in an online forum knows how the freewheeling commentary style of the internet can operate as a test for one’s patience with one’s fellow man. How many debates have you been in where someone confuses “the right to free speech” with “the right to not be disagreed with”? And yet, under our very noses and in the world’s biggest free speech zone, the government is taking quiet steps to undermine the actual First Amendment. In Common Sense, Paul Jacob has the story of the US Justice Department and ICE shutting down a hip-hop blog for nearly a year with no probable cause or legitimate case. And Congress is now considering legislation that would give even more sweeping powers to government to regulate the internet. We must pay attention lest they sneak it through while we’re still arguing about the new Facebook settings. 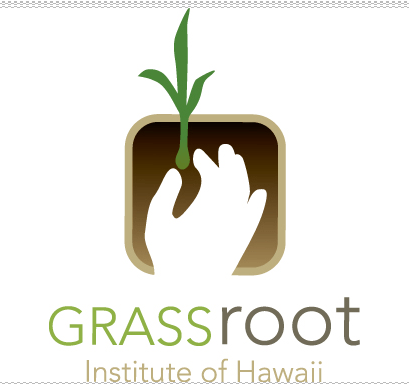 If you want to support the efforts of GRIH to promote individual liberty in Hawaii society, please support HERE.